Christmas Baking Tees Just $16.99! Down From $30! FREE Shipping! You are here: Home / Great Deals / Christmas Baking Tees Just $16.99! Down From $30! FREE Shipping! For a limited time only! 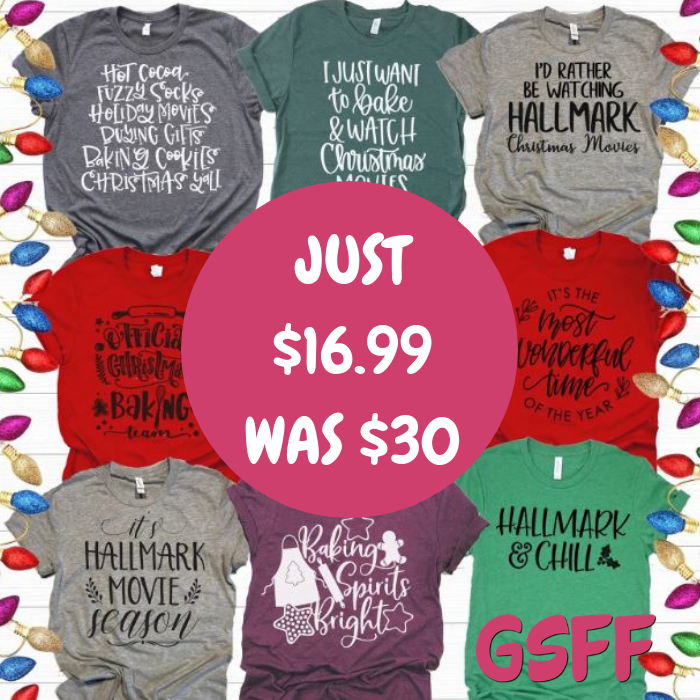 Jane is offering these Christmas Baking Tees for just $16.99 down from $30 PLUS FREE shipping! Calling all Bakers! You will love these super cute Christmas Baking Tees! These are printed on super soft tees! These are printed on the highest quality, super soft tees! It is now offered in Unisex Fit Tees. If you prefer a looser fit order unisex in your standard size or even a size down for a semi-fitted look.